Tahoe Truckee Outdoor: SnowFest Lake Tahoe begins February 27 at Garwoods. SnowFest Lake Tahoe begins February 27 at Garwoods. 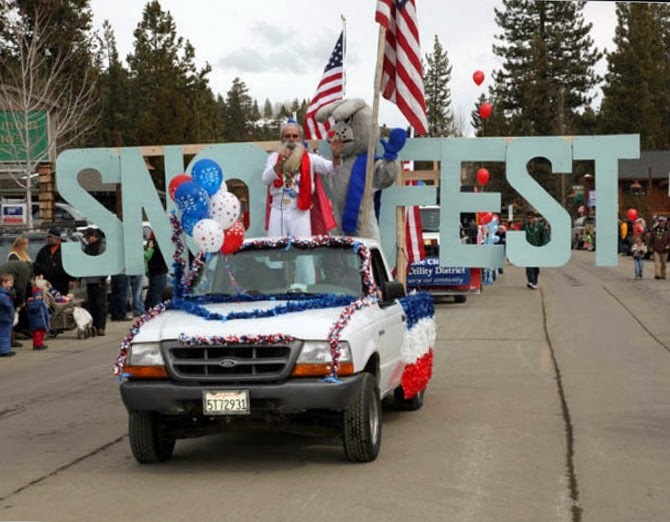 SnowFest is a 10 day carnival on the north and west shores of Lake Tahoe. The kick-off event is a party at Garwoods in Carnelian Bay at 5:00pm. The door donation is $25 dollars to see the SnowFest Queen candidates, live music, and raffle prizes. The following day includes the SnowFest Queen Coronation, Torchlight Parade, and Fireworks display at Squaw Valley. Other events on the following days include the Tahoe City SnowFest Parade, Polar Bear Swim, Sunnyside Luau, Kings Beach SnowFest Parade, Artic Paddle Race, and plenty of other fun stuff to watch or participate in.